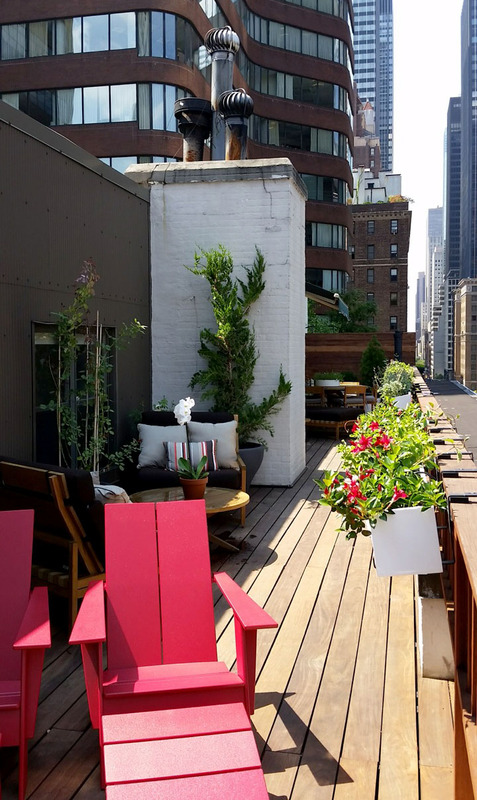 A long and narrow Ipe wood deck 9 floors up in the middle of Manhattan needed life, color and structure. The deck was resurfaced and treated before installing a mix of evergreens, perennials, vines and annuals. 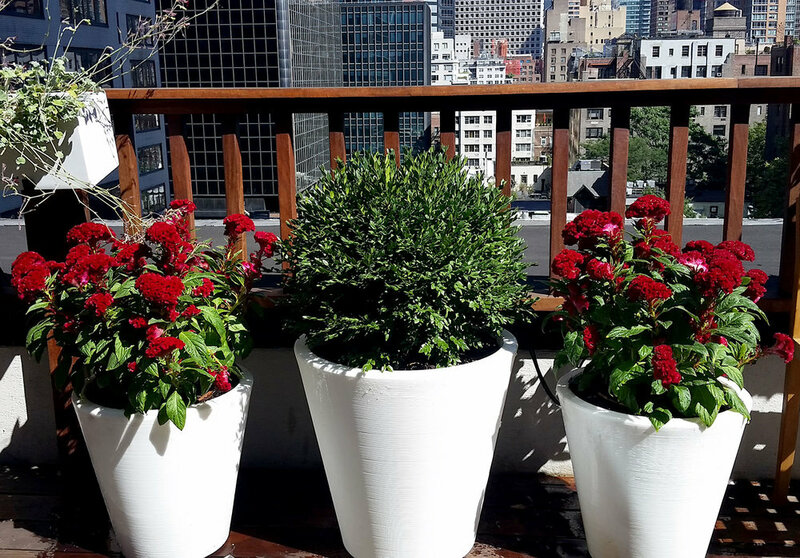 Bold red and white blossoms spill over white contemporary containers from spring to late fall. Thunderhead black pine, hollywood juniper, boxwood, viburnum and umbrella pine maintain a green presence year round.